As an essential part of our project, we are able to interact in different spaces, not only artistic, that allow our dreamers to express themselves in different ways and thus achieve a much more comprehensive training. 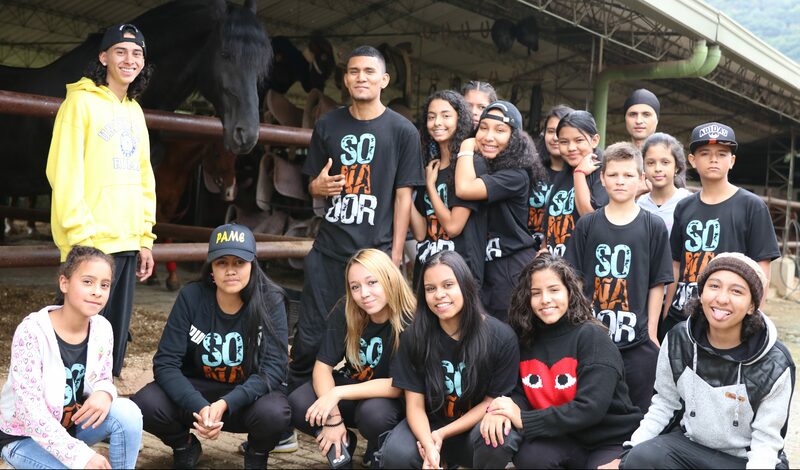 In this sense, The Equus Equitation Club invited us to share, on March 26, 2018, a day in which we could work from equine therapy, safety, self-esteem and confidence through the approach to horses as well as exercises of initiation in horse riding. In addition, we favored the dreamers to connect with nature and have the possibility of integrating into spaces that are not very common for them.